With a little finesse, even the most basic egg dishes can be transformed. Take scrambled eggs, for example. 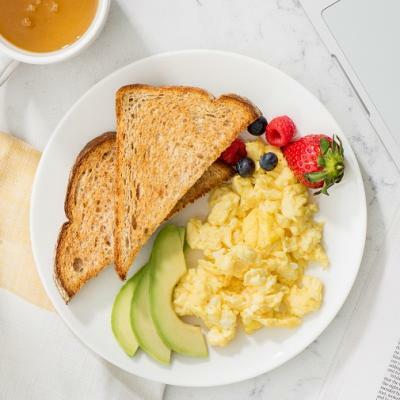 The simple stovetop scramble is a go-to egg recipe in almost anyone’s repertoire, and really is versatile and delicious enough to be eaten at any meal. The question of how best to scramble, though, is still up for debate – everyone has a method they think produces the best scrambled eggs. Want to find yours? 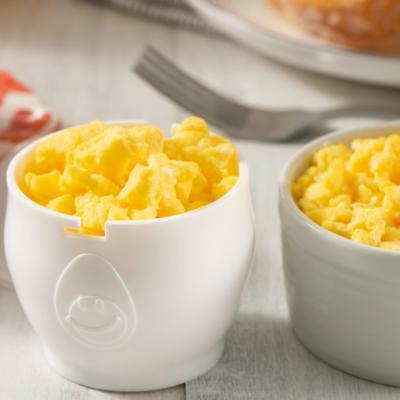 Read on for two customizable methods that will produce your perfect scramble. Use a medium-high heat. In a non-stick pan, heat butter until bubbly, but not brown. 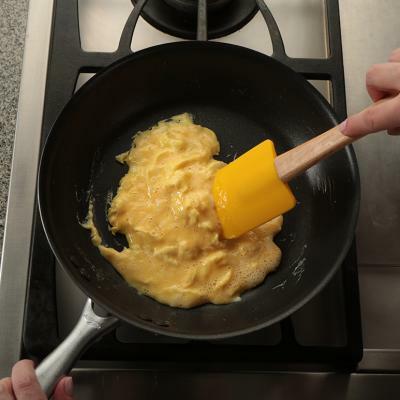 Crack your eggs into the pan (or into a bowl if you’re fancy), season, and stir with a rubber spatula. Using a whisk will create a denser texture, if you’re into that sort of thing. Keep your eggs moving. Every few minutes, stir and fold your eggs to break up any large curds, and scrape the bottom of your pan often to stop sheets from forming. Cook until you no longer have visible liquid in the pan, about five to seven minutes. Remove immediately – leaving eggs in a hot pan can leave them rubbery. This style will produce a firmer, drier (but not dry!) scramble. Easy peasy. You know what goes great with a hard scramble? Did you know? One large (53g) Grade A egg contains 6g of protein and only 70 calories. Beat your eggs thoroughly in a bowl. Season with salt and pepper, and if you want to use cream for extra richness, add that now as well. Once everything’s uniform in colour, you’re ready to scramble. Start with a medium-low heat. Heat your pan slightly and toss in a pat of butter. Let the butter melt but don’t let it cook through or brown. If your butter is browning, your pan is too hot! Pour your eggs in and begin stirring. The more you stir, the creamier your eggs will be – the fluffiness comes from gasses cooking out of the eggs when they’re exposed to heat and forming air bubbles. The more of these bubbles you pop when mixing, the creamier – but less fluffy – your eggs will be. Try stirring once every minute or two and adjusting from there. You should start to see curds forming around the 5 minute mark. It should take about another 5 to 10 until there is no – or very little – liquid left in your pan. Transfer out immediately! You’re ready to eat. 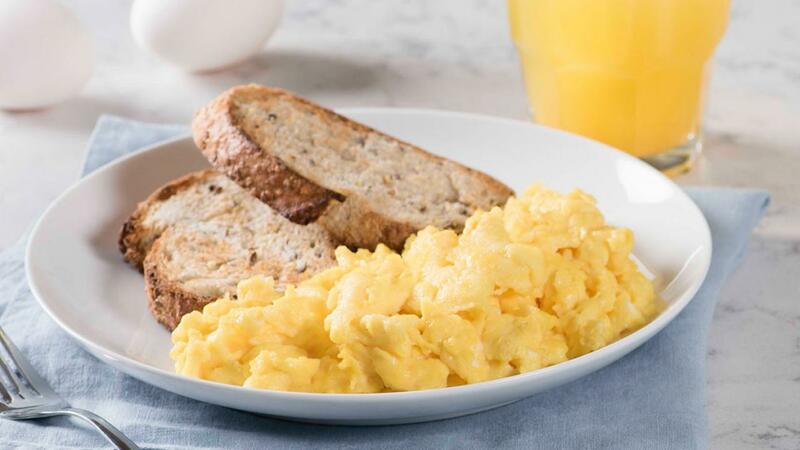 Have a tip on how to make the perfect scrambled eggs? Share your tidbit with us on Instagram!